Groups are a powerful feature of MEDUSA4 used to collect geometry together so that it can be manipulated as a single entity. Adding structure to your drawing in this manner makes it much easier to edit at a later date. Since groups can have user defined names much intelligence can be built into the drawing. You can create a new group and then add geometry to it or form a group from existing elements. 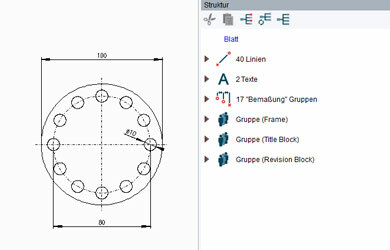 Geometry may be added to groups and edited or deleted from the group. To make it easy to understand what structure is within a sheet MEDUSA4 provides a structure browsing tree viewer tool to display and manipulate groups. The geometry on a MEDUSA sheet can be visualized as a stack of transparent films containing geometric elements. These films, called layers, are used to group the geometric elements so that they can be operated together. 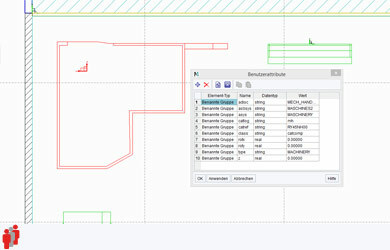 Each layer is used to distinguish between parts of a sheet that have different functions. Your company policy could, for example, specify that one layer should contain the sheet outline, another the sheet tiles, a third all the text, and so on. 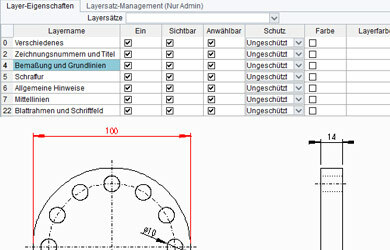 In this way layers provide another way of grouping elements with similar functions. For example, you might want to create a plan view drawing of a building where all the geometry for each floor of the building is put on a distinct layer. This would then allow you to hide the geometry of some floors by making those layers invisible. In an industrial drawing sheet you might wish to assign all the electrical wiring elements to one layer and the plumbing elements to another. A worksheet set can combine multiple drawings from a project into a group in order to edit them in a structured way. By grouping the drawings, users can review them all at once by opening the worksheet set, and can edit individual drawings from the project. In MEDUSA4, each element – like a shape or a group – can be assigned attributes. 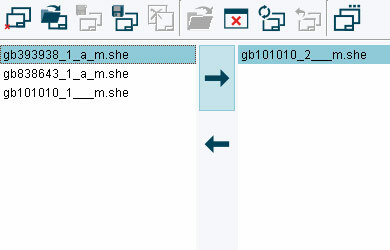 Attributes make it possible to assign part numbers, order numbers, descriptions and many other pieces of information to the corresponding component. They should be considered a source of information in the background of the drawing, which can be used during the planning process to find individual elements in a drawing. In addition, many companies use attributes as a source for further company-specific analyses.